Magnus Walker is one of life's originals. Serial entrepreneur, fashion designer, TV presenter, motivational speaker, and one of the world's most prolific Porsche collectors, the dreadlocked, tattooed hoarder of individual creativity is a very modern incarnation of idiosyncratic success. 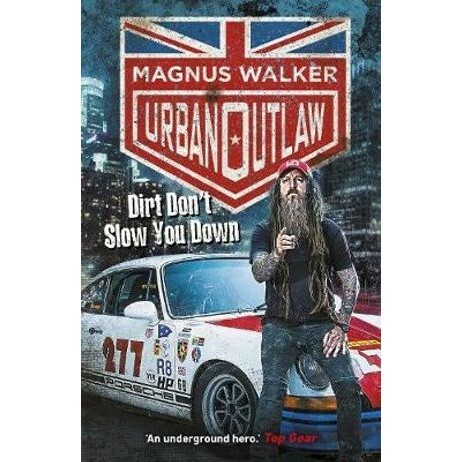 Raised in the grim, urban decay of Thatcher's Britain, Magnus Walker left school with just two O levels and drifted for several years before buying a one-way ticket to America. Now, 30 years and three successful businesses later, by following his instincts, rejecting convention, and pursuing his passions, Magnus has succeeded against all the odds. Here, for the first time, is the full story of his journey from a Northern steel town to the bright lights of Hollywood, from a boy with little hope to an anti-establishment hero. Along the way we'll witness his potent combination of inspiration and graft, discover his motivations and his ambitions, and come to understand his philosophy and the keys to his success. Inspiring and exhilarating, Urban Outlaw is a compelling tale of succeeding through pure instinct and determination by a man who was brave enough to follow his own path.